DESCRIPTION: Shades of grey to tan with irregular short blue/white stripes and black dots. caudal fin long. 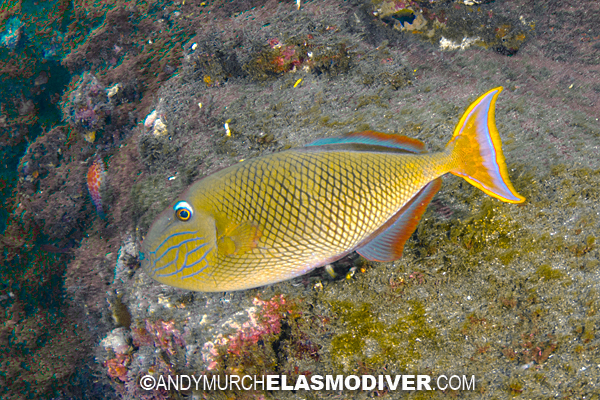 These Redtail Triggerfish pictures are available for commercial licensing. For further information regarding usage please e-mail MarineLifePics. All of the fish pictures on MarineLifePics.com are copyright protected. No unauthorized use of these Redtail Triggerfish pictures is permitted. Please contact MarineLifePics for further information.